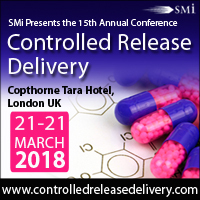 SMi Group have announced that Joël Richard, Senior Vice President, Peptides Development at Ipsen, will be joining the speaker line-up for the 15th annual Controlled Release Delivery conference in London. The presentation comes at a relevant time, with peptide therapeutics becoming more prevalent within the market due to their high potency and effectivity, self-emulsifying drug delivery systems and safety. With the rising demand for effective drugs and technology, it is an exciting time for peptide development and there is a need to understand and acknowledge the challenges for optimal commercialisation and prominence. More details about Joël’s presentation, as well as the full speaker line-up for the conference can be found on www.controlledreleasedelivery.com. 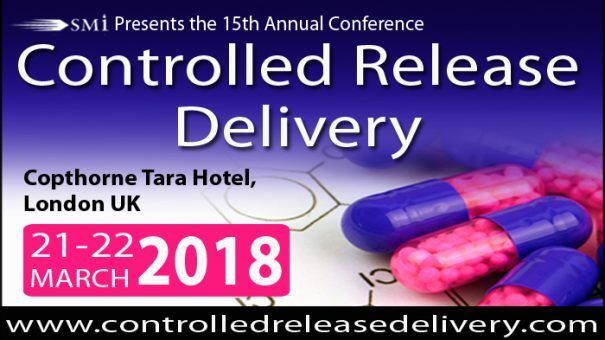 Now running for 15 years, Controlled Release Delivery 2018 aims to explore and to understand innovations in oral-lipid based and abuse deterrent formulations, nanoparticles and nanotechnologies, taste-masking and controlled release approaches, 3D printed dosage forms and functional film coats. For those interested to attend, registration is now live on the event website and there is currently an Early Bird Discount of £200 which expires on 15 December 2017. Established since 1993, the SMi Group is a global event-production company that specializes in Business-to-Business Conferences, Workshops, Masterclasses and online Communities. We create and deliver events in the Defence, Security, Energy, Utilities, Finance and Pharmaceutical industries. We pride ourselves on having access to the world’s most forward thinking opinion leaders and visionaries, allowing us to bring our communities together to Learn, Engage, Share and Network. More information can be found at http://www.smi-online.co.uk.